Even though I planned to read Bridget Jones’s Diary this summer, I read it at a so-called perfect time to read it: a break up. 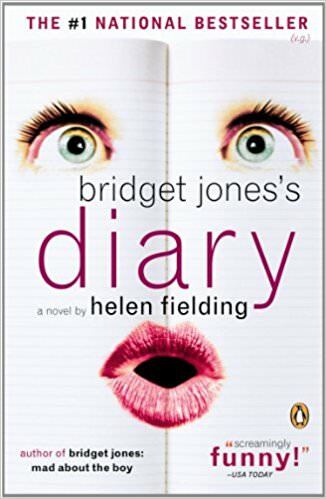 I latched on Bridget Jones’s Diary when I set off for a vacation about a week after the traumatic event. I’ve always been slightly interested in what the book was about, mostly do to Renee Zellweger’s portrayal in the 2000 movie version of the book. After reading the book, I have finally found a movie about a book I liked over the book. To be honest. This epistolary novel is told in a series of diary entries of a single 30-something year old Bridget Jones. Over the course of the story, she switches jobs, constantly complains about her love life, deals with a cast of characters including her mother, dates a jerk, and finally finds herself a good boyfriend all in the span of 200 something pages. 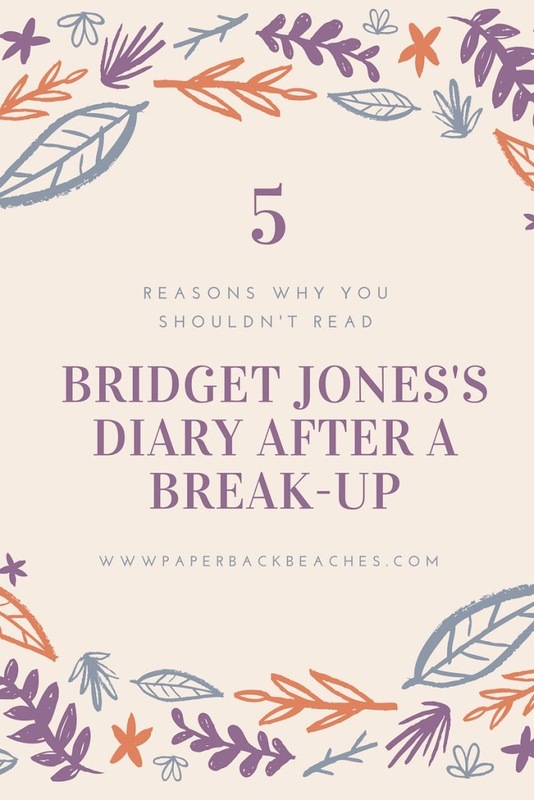 As a girl, I always had this idea that Bridget Jones would help me through this break-up. Instead, I felt worse and exacerbated my deep dark fear of being forever single. 1. It promotes out of control behaviors. Most of us know how frustrating it to be after a relationship and emotions can start to um..get out of control. While some of us can jump off the handle, it’s is imperative that we keep our cool. I have been that “crazy girl.” I still cringe when I think all of those moments where I lost my cool. I can imagine Bridget Jones does not cringe when she thinks of her actions, instead, she’ll just repeat them a few pages later. Even though, she is about 5 to 6 years older than me in this book version, she acts essentially like I did at 20 when I had zero experience with men. A lot of her actions are very immature for her age is my main take away from this book. 2. Plays on the stereotype of women being a certain age need to get married and settle down. 3. Bridget Jones doesn’t teach ladies to be assertive at all. Why was she so afraid to just tell Daniel how she truly felt? Girl, I’ve been there. Just do it. The book would have ended about approximately 100 pages earlier if Bridget just talked it out with him. 4. It’s dated in the sense Bridget is hanging by the answering machine for men to call her back. It’s essentially the old school of waiting for the next text. Except, Bridget obsesses over her answering machine not her phone. 5. A lot of what she does is complain, try to fix herself, or refuse to, and then fails miserably at it. This book really should be a guide to what you shouldn’t do when you’re single or recently broken up. If you do want to read it after a break-up, please don’t believe all the hype, it’s not worth it. I felt worse afterwards like I ate a large bag of potato chips: terrible, greasy, and scratching my back more.